Travis Scott's third studio album, Astroworld, is being highly revered as one of the most anticipated albums hopefully dropping sometime this year. 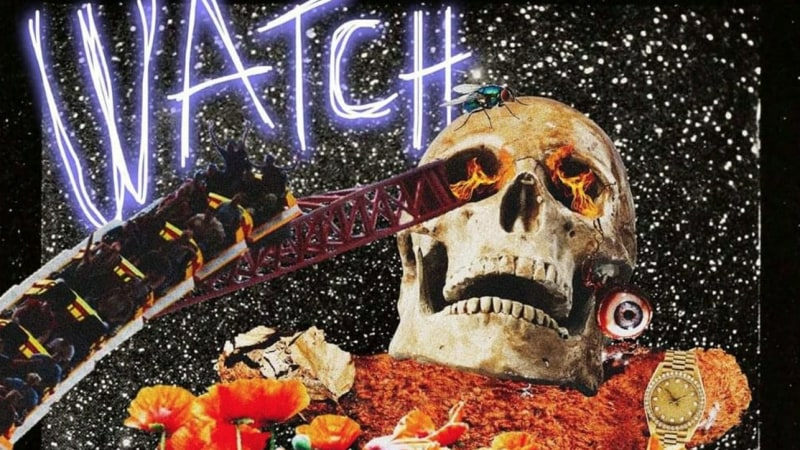 While La Flame has mostly remained mum on the subject, save for a few vague hints and brief interviews, Kanye West recently took to Twitter to urge that Travis drop their collaborative track, "Watch," which also features Lil Uzi Vert. Just over a week later, the once-safeguarded song has now arrived, with its album art nodding to the whimsical amusement park theme Travis' next project will be exploring. The song, which features production by Pi'erre Bourne, is also said to have input from Kylie Jenner, who appears to handle the outro, saying, "We got bust down Rollies, bust down Rollies / And I told him I wanted to have a bust down baby." Earlier this past week, during a much tweeted about appearance at TMZ, West revealed his past experiences with opioid addiction, a topic he refers to during his verse on the song. "Wanna know how I feel? Step into my minefield / Wanna know how pain feels? I got off my main pills / Bet my wifey stay close, she know I'm on my Bezos / Opioid addiction, pharmacy's the real trap / Sometimes I feel trapped, Jordan with no Phil Jack / One year it's Illuminati, next year it's the Sunken Place," he raps on the song. Fans can also look forward to performances from Lil Uzi Vert and Travis Scott, both of whom are slated to perform at the next Miami installment of Rolling Loud. REVOLT TV will also be exclusively livestreaming the full three-day affair. Take a listen to "Watch," Travis Scott's new collaboration with Lil Uzi Vert and Kanye West, below.